Do you ever have a sweet tooth but don’t want to make an entire dessert to satisfy your craving? 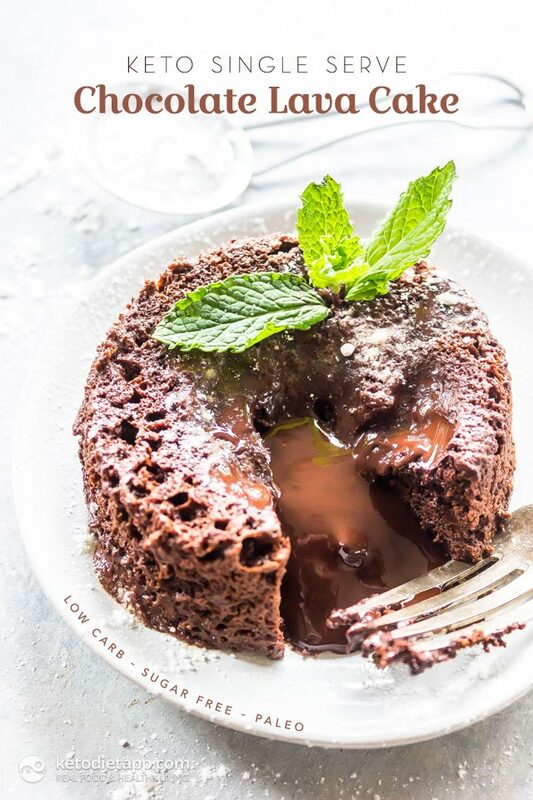 If you answered “yes” then this Single Serve Keto Chocolate Lava Cake is for you! This easy keto treat will keep your blood sugar levels healthy. 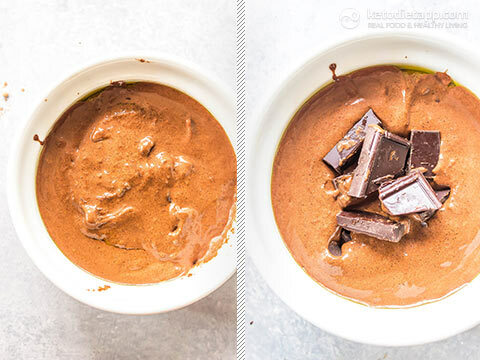 Just a few simple ingredients and literally a minute in the microwave and you’ll have one decadent keto dessert that you can eat all by yourself without feeling guilty. If you’re trying to lose weight, an occasional treat can actually help you stick to your keto diet! And if you like quick and easy treats like this one, there are even more keto mug muffins and mug cakes you can try. Enjoy! 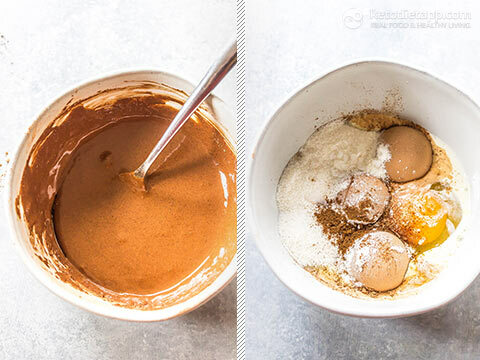 In a small bowl mix together the cacao powder, Swerve, salt, baking powder, and optionally espresso powder. Add in the remaining wet ingredients and mix until smooth. Grease a small ramekin and pour all but 2 tablespoons of the batter into the ramekin. 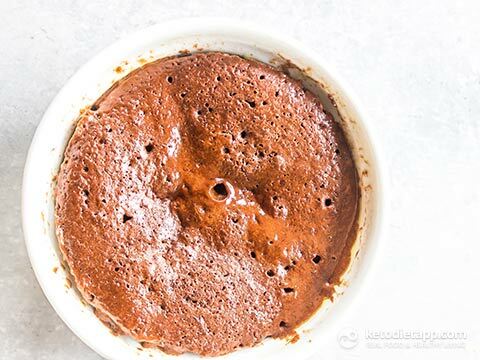 Place the piece of dark chocolate in the middle and spoon the remaining batter over it to cover. Microwave for 1 minute just until the outside is set, it should still wiggle in the middle significantly. If the edges aren’t set cook in 15 second intervals until set. Let stand for 1-2 minutes before flipping onto a plate to serve. Serve immediately. 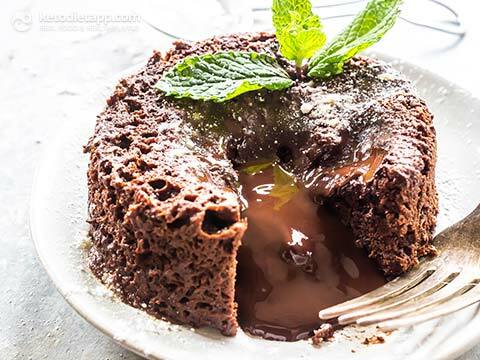 This is so lovely, perfect for a weeknight dessert! Like some others have mentioned, this made two servings for me rather than one, so I've saved the second one for dessert tomorrow. If I we're to have this as one serving, I probably would have it on its own as an indulgent breakfast, or dinner when I'm not particularly hungry! When I made this today, instead of 100% chocolate in the middle I used about 1/2 tsp of peanut butter in the centre of each portion, along with a tiny bit of keto berry jam I had, which basically made these taste like a peanut butter and jam sandwich in the middle... Soooo delish! Next time I'll try it with the chocolate in the middle, or maybe even some hazelnut butter, that would be lush. Thank you for a great, versatile recipe! Hey Martina thanks again for another delicious recipe. When I made this the batter was to thin to hold the chocolate without sinking. The last time I made this comment (making hot cross buns with 12 eggs) we discovered the large eggs I use are 56 grams where you factor in 50 grams per egg. i added a Tbspn of coconut flour and all was good. Would you suggest this or make my adjustment by not adding the cream? Looking forward to your reply. Mark, thank you for your kind words! I think you could use 1/2 tbsp coconut flour or cacao powder, although that could make the cake too bitter. You could even use almond flour (1 tbsp). It's best to start with smaller amounts and add more if the batter is too thick. I hope this helps! Oh my! This is a keeper! The carbs are a bit high, so I split it in half. The other half was yummy the next day. Thank you! I’m sorry, I don’t mean to sound like an idiot, but I have read everything in the blog post and nowhere are calories listed, only carbs. Please take a look for yourself, but I swear, I don’t see total calories listed anywhere. I thoroughly read the post trying to find the calories listed and still cannot. Hi Marie, if you look at the nutrition facts table (blue table) on this page you will find a detailed breakdown including Calories. You will find it as "Calories 359 kcal". I hope this helps! I made two of these desserts tonight for me and my sweetheart. They were so delicious and so much better than the mug cakes I’ve made that use almond meal. My only question is how many calories in one dessert? I looked everywhere on the posted dessert and could not find total calories. Thanks so much! Thank you for your lovely feedback, Marie! Calories and other macros are listed in the table at the top of the post. I hope this helps! Have you considered polialcohols from Swerve in total carbs? I know that oftentimes polialcohols are not counted, but I also know that they can actually impact blood glucose in some people and they have to consider them someway depending by the kind of polialcohol or other factors; in my case, for example, xylitol is forbidden because it has a strong impact on my BG; teh same for inulin; erythritol is quite neutral if blended with stevia/monk fruit. And doing very low carb/keto for therpeutic reason I have to count total carbs. So I'd really apreciate if you could let me know how did you calculate total carbs in this recipe. 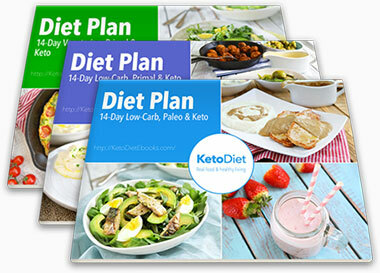 I'm not asking "personal advice", just trying to understand your method and asking for simple information, for the rest I am totally responsible for myself and I know how to balance my diet according to my personal needs  Thank you! LOVE IT! Absolutely irresistible! 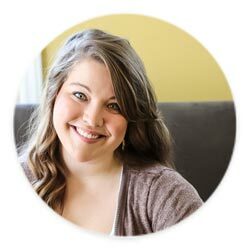 Thank you, Lauren! Compliments Lauren! I love recipes without almond and coconut flour (they are so processed!). How can organic ground almonds be "processed"? Isn't coconut flour just very fine dehydrated coconut pulp after extracting coconut oil? Unless there are other types of almond and coconut flour... am I missing something? Because if that's the case everything that requires heat is "processed".